Featuring a portable garment steamer, LED string lights, and a seven-port charging station. 1. 84% off LED moon string lights. Get them for $8.99 ($48 off the list price). 2. 50% off Pogue's Basics: Money self help book. Get it for $9.90 ($10.09 off the list price). 3. 62% off a LED illuminated travel mirror. Get it for $12.99 ($21 off the list price). 4. 79% off an acrylic makeup holder. Get it for $16.49 ($63.50 off the list price). 5. 60% off a wireless phone charger and dock. Get it for $19.95 ($30.04 off the list price). 6. 71% off a portable garment steamer. Get it for $19.99 ($50 off the list price). 7. 50% off a canvas backpack. Get it for $59.99 ($60 off the list price). 8. 69% off a leather tote bag. Get it for $21.99 ($49 off the list price). 9. 62% off a stainless steel wine bottle opener. Get it for $22.90 ($37.09 off the list price). 10. 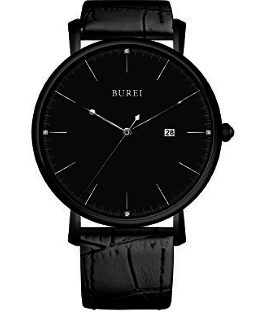 65% off a unisex quartz watch. Get it for $34.99 ($65 off the list price). 11. 83% off a sterling silver owl charm. 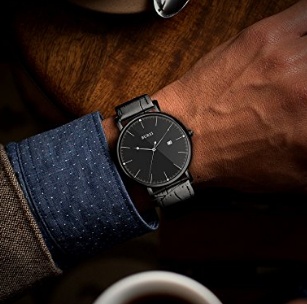 Get it for $21.99 ($108 off the list price). 12. 60% off a seven port USB charging station. 13. 55% off an A-line wrap dress. Get it for $26.98 ($33.01 off the list price). 14. 51% off Lillian Boxfish Takes a Walk. Get it for $12.69 (13.30 off the list price). 15. 73% off a silicone baking mat. Get it for 10.99 ($29 off the list price).